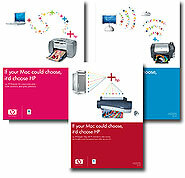 Creative copywriting is usually associated with memorable TV campaigns, advertising concepts or sales material but no less creative – or important – is the production of hard-hitting and effective sales copy in clearly defined chunks and to strict corporate guidelines, a role we have carried out for HP’s imaging and printing business for many years now. With messaging being translated into almost 30 languages throughout the EMEA region, our task is to produce powerful on-brand copy within pre-defined character limits so that HP’s lead agencies can reuse this content across the entire region. 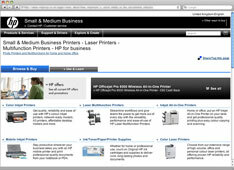 We are also responsible for uploading all product messaging into HP’s on-line content management system. 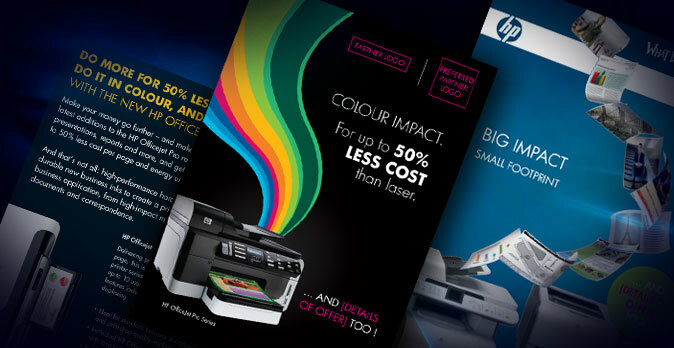 Areas for which we deliver copywriting expertise to HP and its agency network include advertising, telemarketing scripts, online catalogues, datasheets, sales collateral, CRM campaigns, direct mail, eDM materials, in-house presentations, POP and more.